Here are some more travel tips from your Aunty Sarah. Listen up, kids. 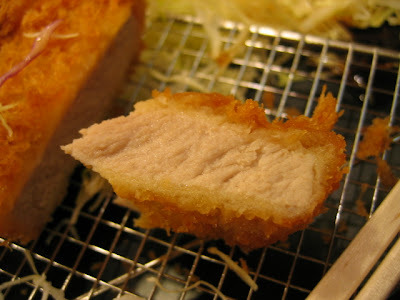 Tonkatsu from a ticket-machine restaurant in Asakusa, Tokyo. Fried food and cabbage is surely a match made in heaven. 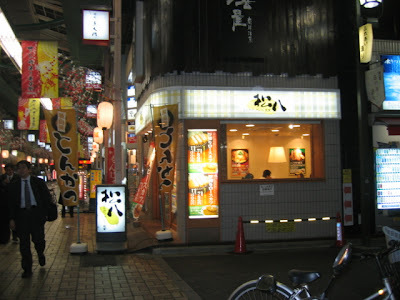 One of the joys of travelling through Japan is the prevalence of ticket-machine restaurants. 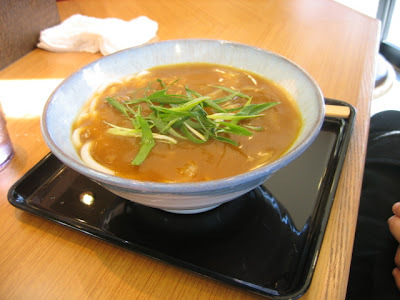 Instead of ordering from a waiter (and all the difficulties of ordering in Japanese), you make your selection by buying a ticket at the ticket machine, hand it to the staff member behind the counter, take a seat and wait for the deliciousness to arrive. If, by chance, you don't realise that you are, in fact, in a ticket-machine restaurant, and sit down without buying a ticket, the staff member will politely point you to the machine (usually in the corner). So don't worry, and don't be embarrassed. Hazukashii-koto wa nai, ne! 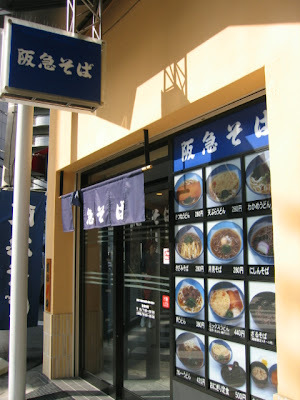 Below we have the menu from a restaurant in Utsunomiya station. 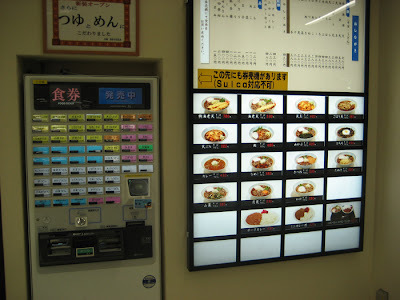 On the right are photos of the dishes, and the left is the vending machine part. If you don't read Japanese, then you'll just have to match the characters from either side. (Or guess! Live a little). 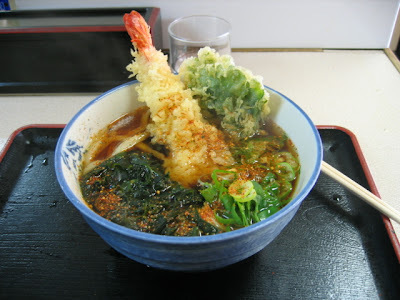 All items - meals, drinks, accompaniments - are bought with tickets. 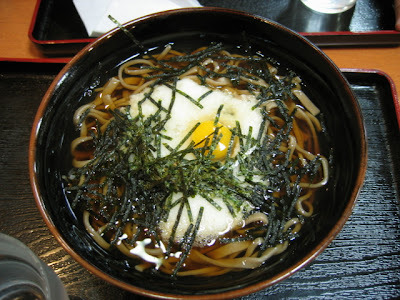 Soba restaurant, Den-Den Town, Osaka. 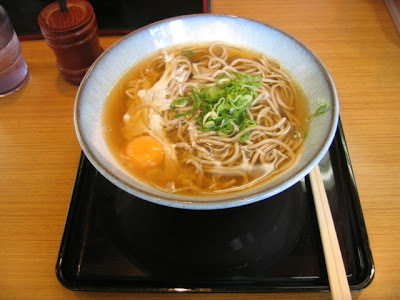 As you can see, the price for a bowl of noodles ranges from ¥250 to ¥500. A bargain! 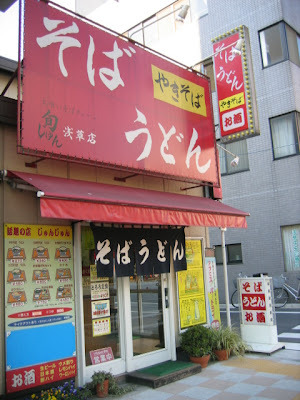 A Noodle House near Tawaramachi station, Tokyo. 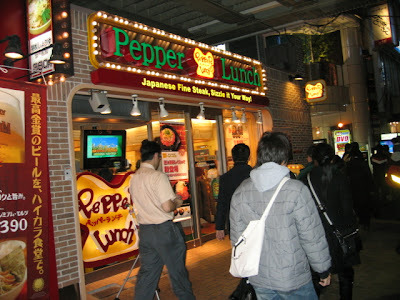 Below is Pepper Lunch, Shibuya. 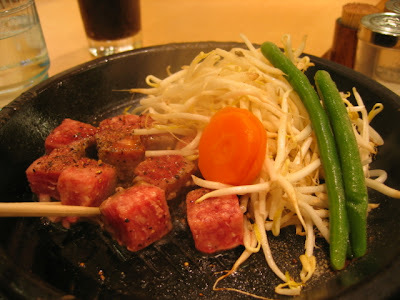 Japanese fine steak, sizzle it your way! 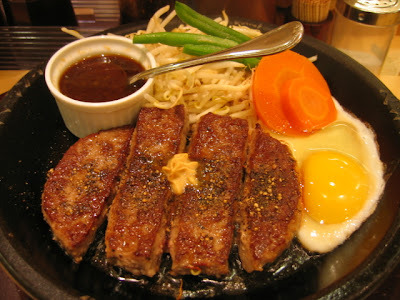 At Pepper Lunch, you choose from a selection of steaks, and cook it on a sizzle plate yourself. A huge paper placemat is provided, which you're supposed to hold up to protect yourself from the splattering whilst cooking. We didn't realise this until we saw other diners doing this, after we started eating. Whoops. We smelled like smoky steak all night. Cubed Steak - juicy, buttery, salty, artery-clogging and totally delicious. Man that hamburger steak was greasy! But oh so yum! I think my body is still trying to work off that fat!